We at CAV specialise in repair, supply, maintenance and intercom installation in Kiama, Illawarra and Wollongong. Want to upgrade your current home intercom? Looking to install a home intercom system for better safety or for a family member with limited mobility or even to keep a watchful eye on kids? Look no further than Connected Audio Visual! Intercom video systems give you the means to monitor anyone attempting to gain access to your facility, including guests, clients or vendors, all the while reducing the chance of a security breach. Feel safer and more secure with a video intercom system that is customizable and scalable. Secure your home and business with an intercom system installation to screen your visitors before allowing them access. At CAV, we have the best of experts skilled in professional installation of intercom systems, security cameras, video surveillance, access controls for residences and businesses across Kiama and Illawarra. 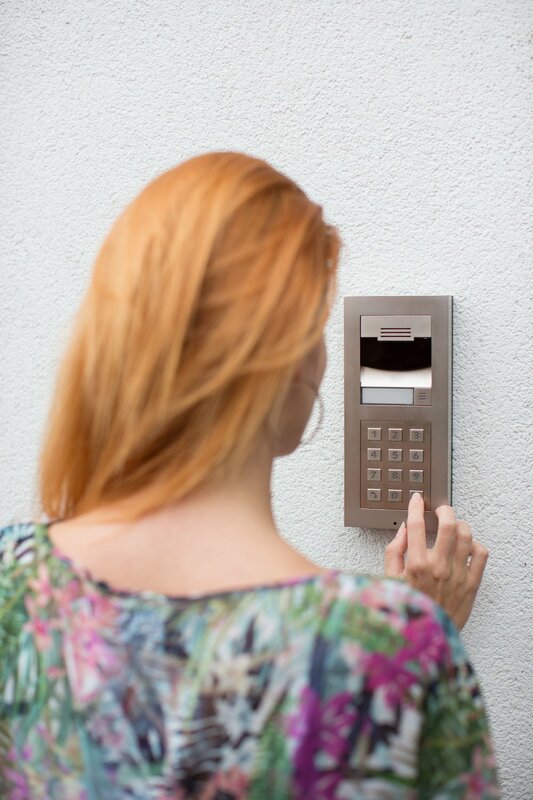 Choosing the right intercom system for your home can be daunting! Whether a wireless or a video intercom system, we assist you with professional assistance to help you get it right the first time. Our experts at CAV offer affordable home intercom solutions that not only put you in control but also combine with your home access control system and home automation to revolutionize your connected home. Why choose a home video intercom system? Add comfort and convenience to screen visitors and unlock doors from any place. Monitor activity and keep a watchful eye on your children. At CAV, we have no hidden charges and our experienced installers offer quick fittings for smart security and surveillance. Call 0402355788 to speak to our experts today!